Where does one go to find all the latest and greatest in kitchen products? 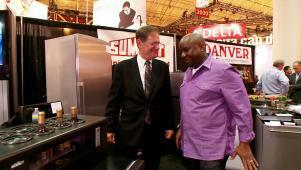 KBIS 2013! Join Licensed Contractor James Young, host of "I Hate My Kitchen," as he explores this year's Kitchen and Bath Industry Show. 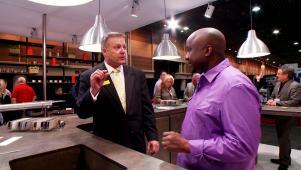 James will give you a behind the scenes look at this exclusive event and show you all the hottest new countertops, sinks, cabinets and of course, his favorite high-tech gadgets for the kitchen. 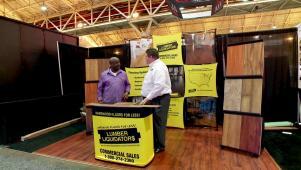 Lumber Liquidators introduce vinyl wood-look click-in-place floor planks. James gives a nod to Neolith's high-performance and ultra-tough countertop. Porcelanosa shows off their new large-format tiles with a seamless look. 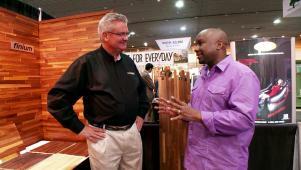 Finium's FriendlyWall prefabricated hardwood panels make the Hot List. 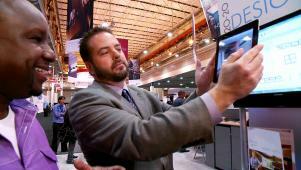 20-20 Technologies offers a 360-degree 3-D software room-design program. 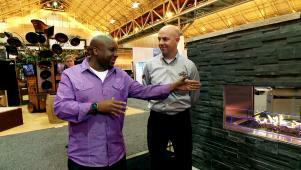 Napoleon introduces James to new outdoor fireplaces featuring LED lighting. 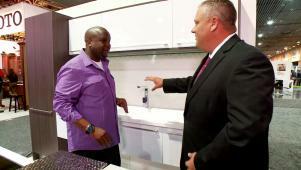 James is introduced to cast-iron sinks and fuse faucets in bold colors. 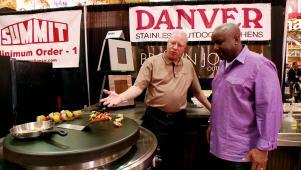 James is shown Danver's Evo flattop grill, an alternative to open grilling. 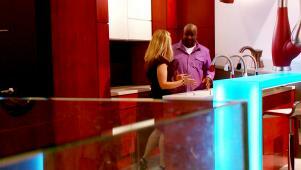 High-tech wine cabinets and coolers are high on James' Hot List trends.